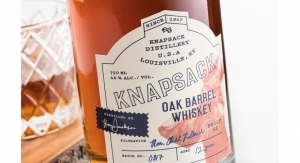 Options abound in today’s ever-changing label industry. The L301 from Afinia Label uses HP thermal inkjet technology. 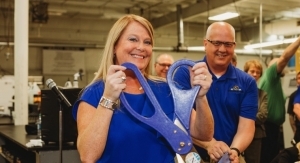 A flexo press becomes digital with the Colordyne Series UV - Retrofit. The Dantex PicoJet UV inkjet press on display at Labelexpo Europe. This Domino N610i inkjet press was purchased by Autajon Group. The Gallus Labelfire 340 features 1200 x 1200 dpi native resolution and inline finishing processes that include a rotary screen printing unit. 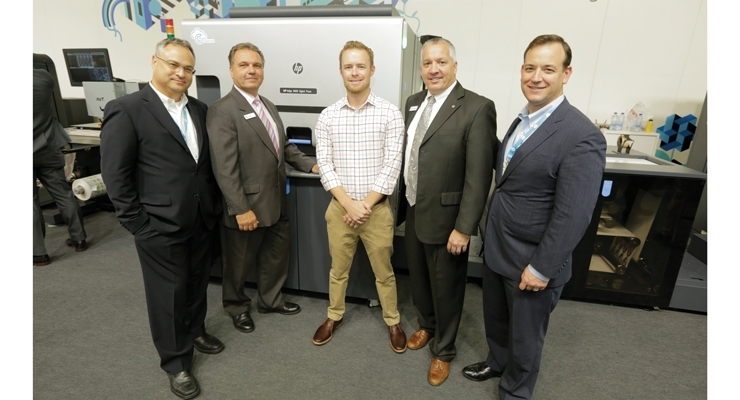 Andrew Boyd (center), president of Blue Label Digital Printing, with staff of HP Indigo at Labelexpo, where Boyd signed off on the press purchase. Gaia was launched at Labelexpo Europe 2017. The Prism from iSys Label is a solution for bringing label production in-house. The Mark Andy Digital One launch team one year after it hit the market. 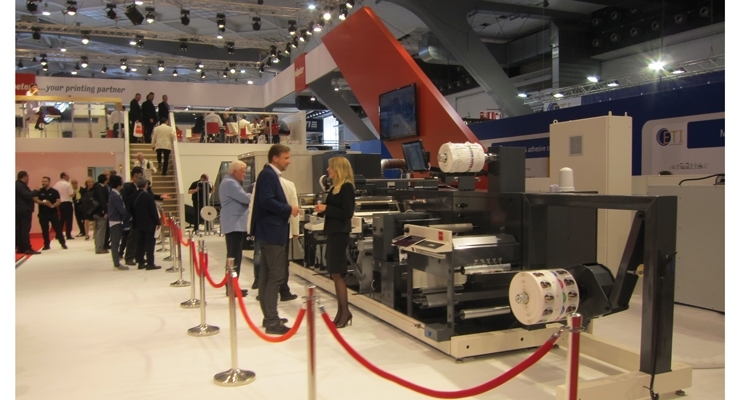 Nilpeter’s Panorama press on display at Labelexpo Europe 2017 in Brussels. 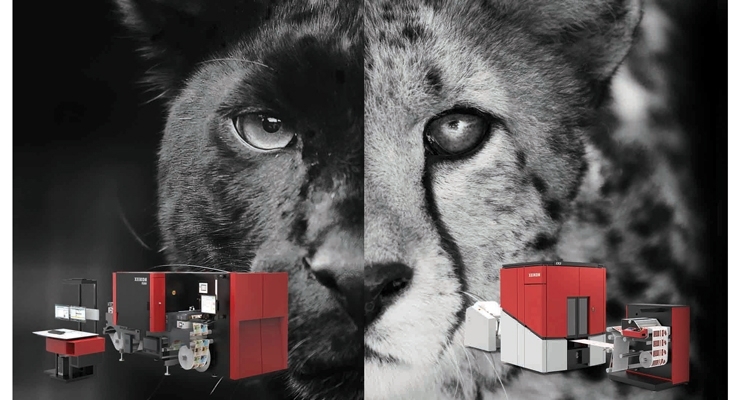 At left, the Xeikon PX3000 inkjet press based on Panther technology; at right, the Cheetah-powered CX500. A recent study conducted by label industry market research firm LPC, Inc., determined that new digital press installations in North America are growing at 11.9% per year. The firm estimates the rate of new conventional press installations are contracting at an annual 8-9% clip. Taking into account these forcasted rates, LPC believes that in the year 2020, one in four new label presses sold in the US and Canada will be conventional, and three out of four will be digital. Times sure have changed. A fact that has emerged since the proliferation of digital printing, is that digital technology adoption is not one size-fits-all. What is a great fit for one label company may vastly differ from others. Specialization, location, finishing needs and markets served all play key roles in digital press adoption decisions. Whether it’s EP or inkjet, a desktop printer for a few thousand dollars, or a hybrid production class press with a 7-figure pricetag, there have never been more options for both first-time digital technology adopters or longtime users with multiple machines. Some products target brand owners, suggesting they’d benefit from producing labels themselves. Some are entry-level priced for the small to medium sized label company. Others are even designed with speed in mind to compete with flexo operations. During and since Labelexpo Europe 2017, the industry has learned of new players, and we’re also seeing others begin to breakaway, transition or put digital press projects on hold. There are many, many vendors now, with some offering several different machines. 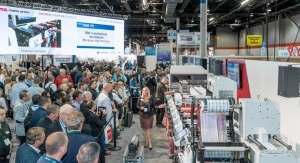 While the information that follows is not all-inclusive, it’s L&NW’s attempt to share the capabilties, benefits and specifications of digital and hybrid label printers and presses on the market today. Suppliers appear in alphabetical order. 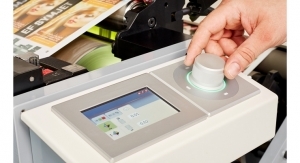 Afinia Label offers digital printing and finishing equipment for in-house label production. By bringing labeling processes in-house, customers are able to not only save on per-label costs, but eliminate minimum order quantities and lead times, consider seasonal or private label types of opportunities, minimize waste and more. 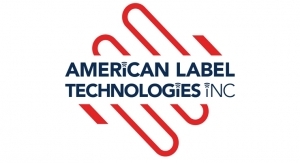 Afinia Label’s L301 is perfect for growing businesses, allowing for the flexibility to adjust labels as needed to accommodate branding, ingredient, or government regulation changes. Powered by time-tested HP thermal inkjet technology, the L301 creates professional-quality prints for just about any label application. 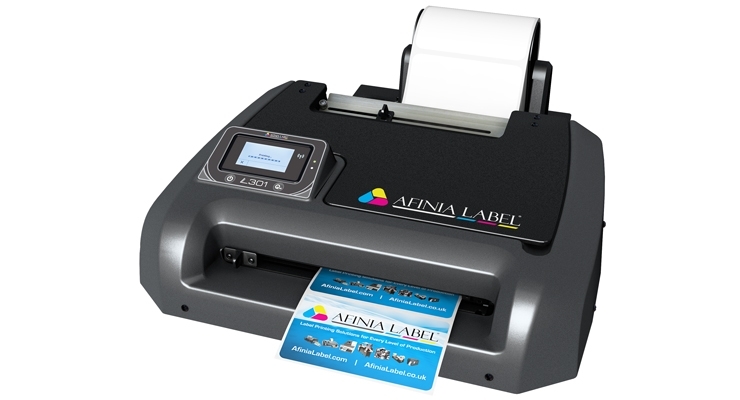 The Afinia Label L501 is the first label printer with the company’s Duo Ink Technology, designed to handle both pigment and dye inks. This dual-ink feature allows for a quick transition from dye-based vibrant and colorful prime labels, to ultra-durable pigment-based color applications with a simple printhead swap. A Memjet-powered high-speed industrial web-fed inkjet solution, the Afinia Label L801 press, is ideal for short and medium-range label runs. It’s compatible with industry-standard design software and supports a wide range of paper, polyester, polypropylene and vinyl label stocks. The L901 from Afinia, powered by Memjet’s Sirius engine, allows for printhead servicing without breaking the web. It has an integrated unwinder/rewinder and touchscreen user interface. The L901 is ideal for inline use with a digital press, running medium/large-range runs at up to 60 fpm. Like all of Afinia Label’s printers, it also works with industry-standard software, and supports a wide range of materials. 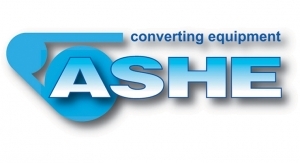 Allen Datagraph (ADSI) offers its iTech Centra 5 LED toner-based label printer. Benefits include the capability to print white along with a full complement of CMYK. 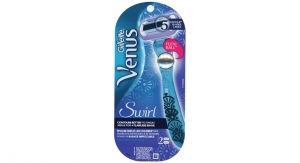 This means that any designer is given full reign to print full graphics, including contone (photo) images, on a wide assortment of label substrates. It is capable of printing full color CMYK with a dense, white underprint on clear and colored substrates, or a white overprint for graphic elements. The printer can print CMYK at 50 fpm or CMYK plus White at 41 fpm on roll stock up to 12.5" in width. This single pass technology from ADSI offers accurate color registration – important for small type on labels – and provides excellent, vibrant color. The iTech Spectrum LED toner-based digital label printer from ADSI comes with an optional white toner allowing converters to print with flood white on clear or colored substrates. The 25 fpm iTech Spectrum assures high-quality label printing at 600 dpi x 1200 dpi. It is capable of printing on either pre-diecut or continuous roll substrates and is compatible with most standard PS paper substrates as well as white, metallic and clear polyester film. AstroNova markets both the TrojanLabel and QuickLabel lines of label printers. From the QuickLabel line are the QL-30 and QL-60. According to AstroNova, both feature a compact design and high print speeds. The QL-30 and QL-60 thermal transfer label printers are ideal for bar coding and other one-color labeling applications. These systems feature a full-color touchscreen interface, complete with video and WiFi. The QL-30 and QL-60 are ideal for producing rugged images for hazardous substance labeling, including cardboard boxes, pallets and other surfaces exposed to extreme conditions for lengthy periods. From the TrojanLabel product line is the Trojan T2-C. With the full capacity of a larger press, the T2-C easily fits into any size facility with a footprint of less than 4 square feet. For ideal print quality and registration, the T2-C is optimized with automatic tension control and a built-in web guide. The intuitive TrojanControl touch panel user interface is easy to use and facilitates a quick start-up. With 24/7 production in mind, print speeds up to 12 " per second and resolution up to 1600 dpi, the T2-C is a press designed for brand owners, print shops and professional label converters who want to add high resolution color inkjet labels to their portfolio. 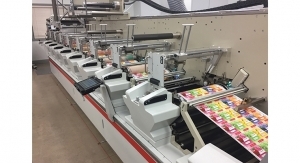 The Trojan T4 extends AstroNova’s product line into the high-production environment for professional label converting, the T4 is a robust single pass, label printing press and finishing system that uses the highly intuitive TrojanControl touch panel user interface. For advanced label production and finished rolls of superior quality, the T4’s advanced digital inkjet printing press prints, laminates, diecuts and slits brilliant full-bleed color labels up to 1600 x 1600 dpi resolution at speeds up to 60 fpm (18 m/m). 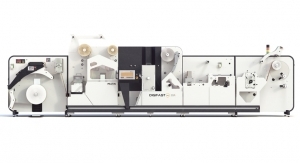 The T4 also allows its users to create blank diecut labels at speeds up to 165 fpm (50 m/m). 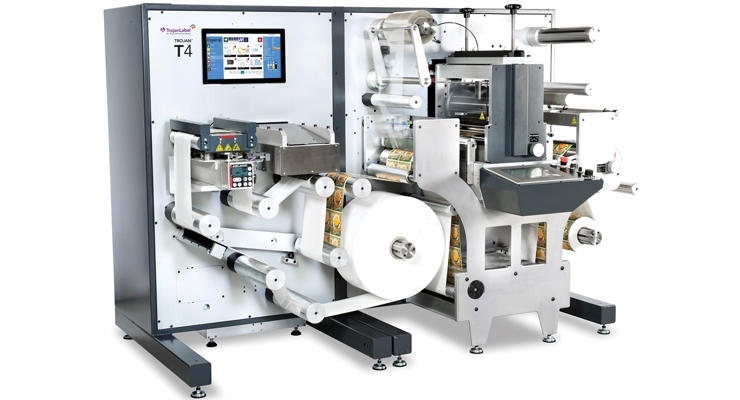 Designed for high capacity production, yet perfect for short label runs, the T4 is fully integrated for efficient production and quick changeovers, to minimize downtime and optimize profitability. A compact all-in-one label production solution, AstroNova says the T4 is fast, reliable and easy to use, while taking up less than 7 and a half feet of space. Colordyne Technologies’s newest development is the 3600 Series UV - Retrofit. As a complement to its current aqueous-based solutions, the 3600 Series UV - Retrofit provides a cost-effective method for adding process color UV inkjet printing capabilities to existing converting equipment. The 3600 Series UV - Retrofit is powered by Colordyne’s proprietary print engine control software, leveraging the latest in UV inkjet imaging technology. Colordyne developed the new 3600 Series UV print engine in response to the growing demand for digital 4-color process UV inkjet retrofit solutions. 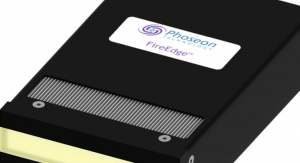 Not only does the new 3600 Series UV - Retrofit leverage a similar footprint and integration method as Colordyne’s existing 3600 Series AQ - Retrofit, it also features the same front-end software and user interface. This offers users the opportunity to diversify their printing capabilities at a low capital cost. The 3600 Series UV - Retrofit prints digital CMYK plus white at speeds up to 246 fpm (75 m/m). The UV solution is available in 8.5" (216 mm) or 12.75" (324 mm) print width configurations and delivers a print resolution of 600 x 600 dpi. 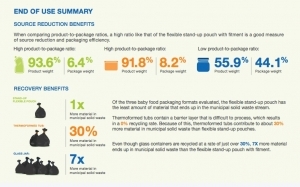 It uses vibrant UV curable inks designed for a wide range of self-adhesive and flexible packaging materials, allowing customers to pursue applications that demand durability in the industrial, personal care, pharmaceutical, security, health & beauty, automotive, safety, chemical, food and beverage markets. 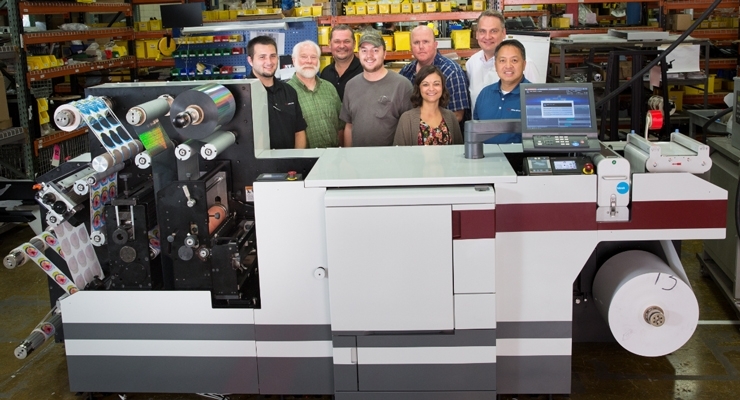 Colordyne’s 3600 Series label press is a full-featured process color digital press with an enhanced precision web handling system, powered by Memjet technology. 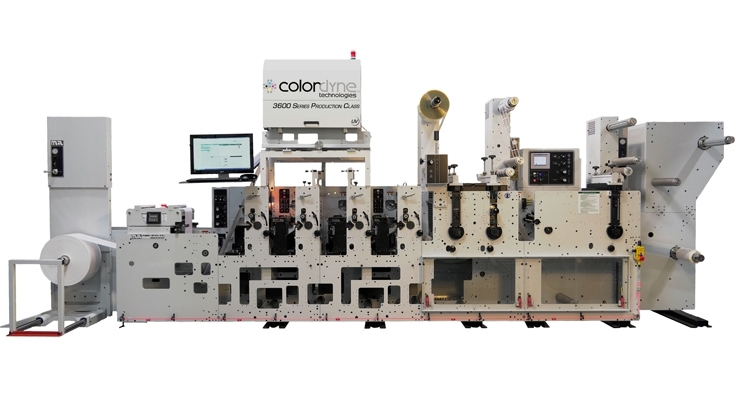 The Colordyne 3600 Series excels in proven closed loop tension control technology and is available with low-cost inline finishing options and configurations.The 3600 has a print resolution of 1600 x 1375 dpi; speeds up to 225 fpm (69 m/m); and a user-friendly interface. Colordyne also offers The Colordyne 2600 Series Mini Press, which provides full color digital printing for labels, tags, tickets and documents. This affordable solution provides converters with the capabilities of a larger press – 1600 x 1600 dpi, 60 feet per minute, variable data – on a compact and easy to use printing system. Adding digital print with the 2600 Series Mini Press allows converters to take advantage of new and emerging market demands quickly and efficiently. 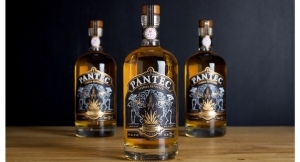 Dantex has launched the PicoJet digital UV inkjet press, in response to the success of its PicoColour UV digital label press and to go wider, faster and finer in resolution. The press uses Ricoh printhead technology. 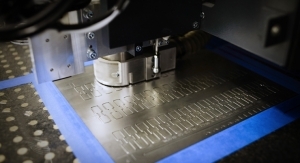 PicoJet, developed by the Dantex Advance Engineering Team, works at 350mm width and at 75 m/m (250 fpm). Using Ricoh heads, PicoJet offers 1200 x 1200 dpi resolution at 2.5pl dot size. It is suited for high quality long run jobs. 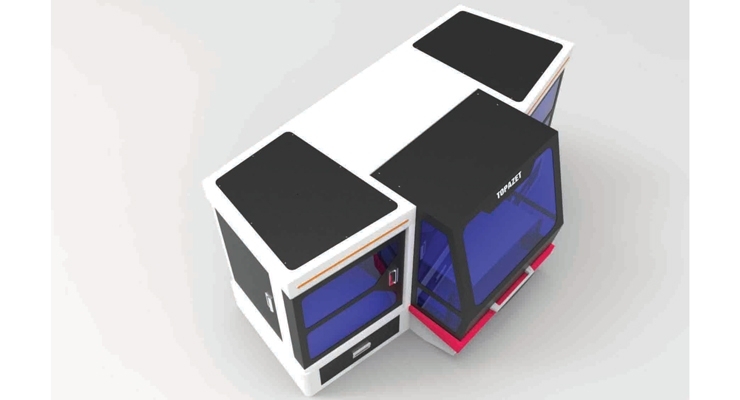 PicoJet is a 7-color printing system, which can be custom configured to offer extended color gamut printing. PicoJet includes static control, web cleaning and corona treatment for wide choice substrate printing capability, for which Ricoh heads are ideally suited. The PicoColour digital label press from Dantex has a web width of 210 mm (8") and print speed of 35 m/m (115 fpm). PicoColour works with UV-based inks and is available with CMYK + White. The press is versatile in its ability to print on a variety of different substrates and can print on thicknesses of 30 microns up to 320 microns while delivering smooth print tones and solid areas for printing life-like images, pin sharp text and bold colors with an extended color gamut. PicoColour is designed to work with Dantex’s specially-formulated ink – a formulation that ensures a thin and even coverage without any loss of quality, integrity or color density. Domino emphasizes that its N610i digital UV inkjet label press combines the productivity of flexo printing with the flexibility offered by rapid job change digital technology. Its range of features include a 13" web width, up to 7-colors (including opaque white), 600 dpi native print resolution and operating speeds of up to 246 fpm (75m/min). The N610i uses vibrant UV curable inks designed for a range of industry standard self-adhesive labelstocks, including coated paper, polyethylene and polypropylene, normally without the need to prime. Key applications include industrial, security, health & safety, automotive, chemical, personal care and pharmaceutical labels. The N610i press includes several innovative Domino technologies. For example, ActiFlow, the press’ ink circulating system, maintains a constant ink temperature and removes any dissolved air in the ink, thus delivering consistent print color and reliability. CleanCap is an automated printhead cleaning and capping station that maintains constant print nozzle performance for consistent print results and minimal downtime. And with StitchLink, using micro-motor controller technology, the printheads are aligned to micron levels of precision. Textures by Domino is a recent addition to the N610i, an inkjet capability that allows label printers to print an endless scope of digitally textured labels just by using the high opacity white ink on the N610i press – without the need to invest in expensive textured substrates. This technique enables printers to create visually striking, tactile labels that not only give products strong shelf presence but also help to increase customer engagement across a wide variety of markets. 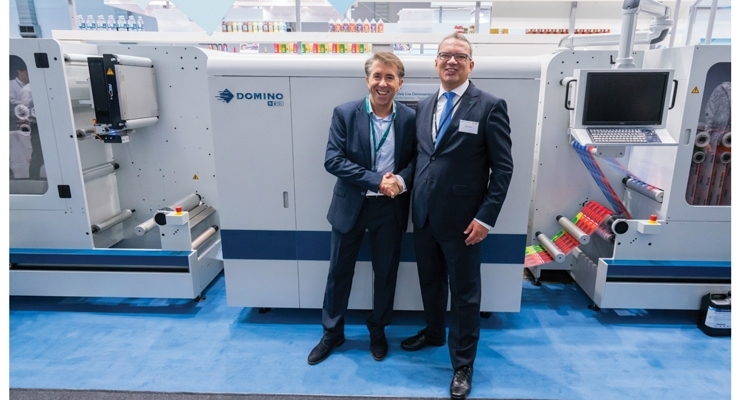 Most recently, at Labelexpo Europe, Domino announced its new 7-color ink set for the press. The new Domino in-house developed and manufactured UV90 ink set has been specifically designed to address a range of common issues faced by the industry as digital inkjet label printing gains further adoption. Designed and optimized for use specifically with the Domino N610i hardware and workflow, the new UV90 ink set has improved coverage and print quality on many media types, particularly in areas of low density tints. When used in High Quality Mode, the ink set can accurately reproduce over 92% of the Pantone range, and in High Speed Mode the new ink set can still reproduce over 90% of the Pantone range. As compliance is such an important factor when printing for food packaging, UV90 has been formulated to be both EuPIA and Swiss Ordinance compliant. The UV90 ink set has improved adhesion across a wide range of industry standard substrates, reducing the need for inline priming, or the need to use more expensive pre-coated medias. According to Domino, early adopters of the ink set have reported superior adhesion levels across all tested media types and confirmed that neither priming nor pre-coated media is required. 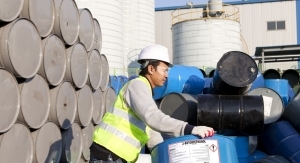 This allows significant savings to be made to overall production costs. 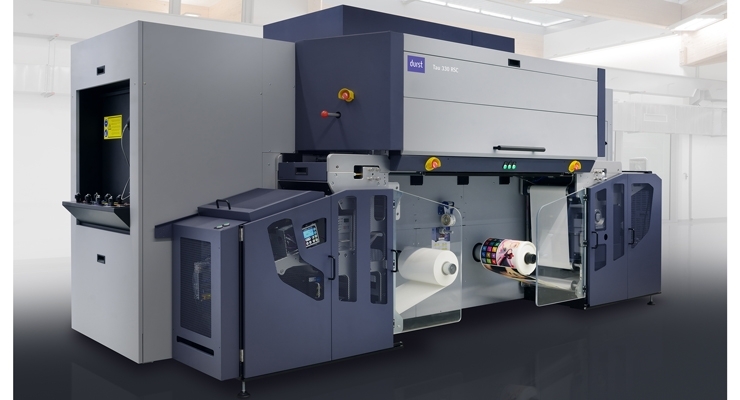 Durst offers the Tau 330 and Tau 330 E digital UV inkjet label presses, as well as the newly launched Tau 330 RSC, a high-speed UV inkjet label press inline with Omet’s XFlex X6 hybrid solution. The new Tau 330 RSC is a UV inkjet label and package printing press featuring a 13" (330mm) print width combined with print speeds of up to 245 fpm (78 m/m) at 1200 x 1200 dpi print resolution. The press achieves a production capacity of 1.485 m² per hour, and thanks to its 8-color stations (CMYK+W+OVG) with newly designed high-pigmented inks, it is capable of delivering excellent, flexo-like print quality with close to 98% pantone color gamut coverage. The completely new Tau 330 RSC is available as a standalone version or can be combined with inline digital laser diecutting in the LFS 330. 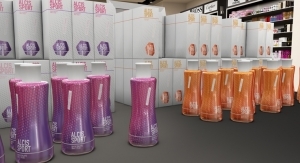 At Labelexpo Europe, the new Tau 330 RSC on display was configured as hybrid solution inline with Omet’s XFlex series of conventional finishing options, providing unlimited material flexibility for a vast range of label and package printing applications. 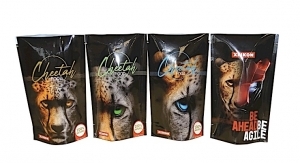 Durst’s flagship Tau 330 with low migration ink for primary food and pharmaceutical packaging, as well as the economic entry model Tau 330E are also available with the specially-developed high pigmented UV inkjet inks. In addition, Durst recently introduced its new Web2Print solution for online design, preview and ordering of all kinds of packaging products like labels, folding cartons and more. Durst’s proprietary Workflow-Label Application Suite is a modular, expandable prepress software for order entry, prepress, RIP, color management, ink-costing and production data management. 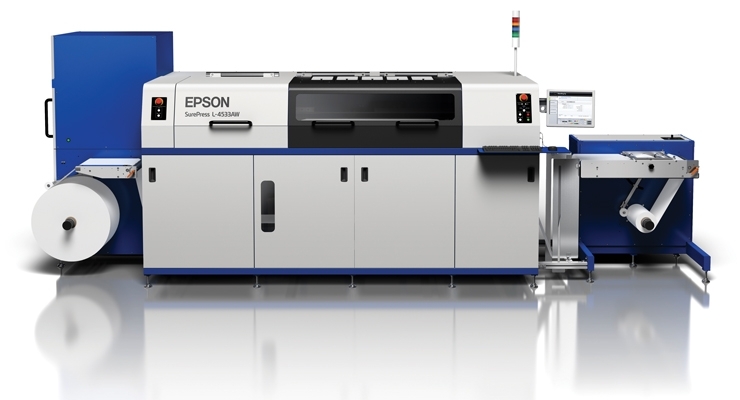 Epson’s newest offering is the SurePress L-4533 Series, which has been launched to replace the existing L-4033 model. The SurePress L-4533 Series is aimed at small to medium-sized label converters looking for digital printing capability, as well as commercial printers wishing to diversify into packaging and labeling. It has been designed to offer an easy-setup digital solution for producing short to medium-sized runs of commercial labels on a variety of substrates, allowing users to diversify their services and offer quick turnaround for on-demand orders. The L-4533 Series offers improved image quality at higher print speeds as well as faster variable data processing. The press is highly automated and easy to use with minimal maintenance. The L-4533 Series uses the SurePress AQ inkset with green and orange to provide a very wide color gamut, and has white ink capability to expand its range of potential applications. The AQ inks are water-based and the press has no need for chemicals, plates or films, so the printing process is kinder to the environment. 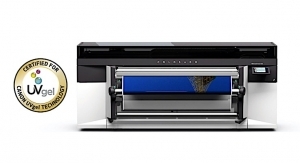 Epson also offers the SurePress L-4533 Series and the UV model of the unit, the SurePress L-6034VW. Designed for prime label converters and commercial printers, the Epson SurePress L-4033AW is an easy-to-operate, seven-color inkjet digital label press with White ink that makes high-quality, short-run label printing easier and more efficient, even on clear and metallic substrates. Delivering exceptional print quality and accurate color reproduction, as well as innovative features, the L-4033AW is a cost-effective and reliable solution that allows printers to expand their service offerings and improve profitability. Driving the SurePress L-4033AW is the included Wasatch RIP and Print Management Software. The Wasatch SoftRIP is a RIP solution designed to save time and money by including superior color management options, efficient layout features, powerful workflow tools, variable data printing, and contour cutting, all while producing excellent quality color. Additional Epson label printing products include the ColorWorks C831, an industrial-strength inkjet label printer ideal for GHS large format drum and chemical labels and more. The C831 combines the benefits of a rugged color inkjet printer with the accuracy of an 8-pin tractor feeder and was the first inkjet printing solution to be BS5609 certified, one of the most common benchmarks for certifying durability. The ColorWorks C3500, with speeds up to four inches per second,, can produce up to 2,000 high-quality inkjet-printed full color labels per day at a low entry price point. With its Labelfire 340 press, Gallus offers converters a digital label printing press with added inline finishing processes. The Gallus Labelfire 340 is touted as being able to provide printers with levels of print quality that match those of high-resolution offset printing. This is reflected in the native (physical) resolution of 1,200 × 1,200 dpi with a droplet size of just 2 pl and up to 200 grey scale values, corresponding to a visual resolution of 2,400 × 2,400 dpi. The high physical resolution of the inkjet heads excels when it comes to small symbols and characters as well as fine lines and gradients down to zero percent. The unique shaped inkjet print head enables seamless inkjet head stitching, resulting in smooth print across the entire web. The combination of digital white, CMYK, the color space enlargement colors orange, violet and green, as well as 7-color separation mean the Gallus Labelfire press system can cover a large portion of the Pantone color space. All of this is made possible by the use of specially developed screen and color management algorithms that Heidelberg has been utilizing with great success in its offset prepress solutions for decades. Following numerous customer requests, Labelfire’s functions have been expanded to include the rotary screen printing unit. The fully integrated screen printing unit can be positioned upstream or downstream on the press. In front of the digital printing unit, for example, the customer benefits from the opacity of white screen printing ink. Downstream, the entire pallet of advantages of screen printing can be applied, such as the haptic effects of spot varnishing or safety applications with special screen printing inks. HP offers label manufacturers a wide range of digital technologies, including the HP Indigo 8000 digital press, which runs up to 262 linear feet per minute. The 8000 was launched at drupa 2016, and is positioned as a high speed print technology for the label industry that is an alternative to flexographic printing. HP’s flagship label press is the HP Indigo WS6800 digital press, the third generation in the HP Indigo WS6000 series. HP boasts that the WS6800 delivers the industry’s highest crossover point versus flexo when it comes to narrow web PS label printing. The WS6800 has top printing speeds of 98 fpm in 4-color mode and up to 131 fpm in Enhanced Productivity mode, with advanced color automation and color matching. HP’s liquid ElectroInk technology delivers high resolution printing and perfect registration so converters can meet even the most stringent corporate branding requirements while using up to seven ink stations and a color gamut reaching up to 97% of Pantone colors. HP’s SmartStream Mosaic technology enables SKU proliferation, seasonal redesigns, and mass customization for campaigns that boost sales. Variable data capabilities for brands include unlimited designs, bar codes, text, images and security features. The WS6800 can print at a speed of up to 30 meters per minute in four color and supports 12 to 450 micron materials, including standard substrates with in-line priming. The press can produce any narrow web format label, flexible packaging, sleeve, IML, wrap-around labels or folding carton jobs, with easy and quick changeovers. HP Indigo ElectroInk Premium White delivers high-opacity white in a one-pass process. The Color Automation Package of the HP Indigo WS6800 features a built-in spectrophotometer and software tools to simplify color management and eliminate the need for expensive software, hardware and manual calibration processes. The system’s Automatic Alert Agent provides early detection and quality control to help find and highlight inconsistencies between the digital file and the printed images in real time. Recently, HP announced HP Indigo GEM, touted as a breakthrough in one-pass digital embellishment. Launched at Labelexpo where it was shown integrated with the HP Indigo WS6800 digital press, GEM produces highly-decorated labels simply and efficiently. HP Indigo GEM is a fully digital one-pass printing process for embellishing with foil, screen, tactile, varnish and other special effects, using one workflow, one operator, and one design file without the need for tooling. The HP Indigo GEM utilizes GEM Coat and GEM Clear, sold by HP Indigo. Developed with JetFX, shipping of the GEM is expected to begin in the spring of 2018. Gaia is driven by the JetINX Printhead Drive and Ink Recirculation system. The 4-color printer offers resolution up to 720 x 360 dpi, throughput speed up to 25 meters per minute, and uses photoinitiator-free inkjet, EB-curable inks from INX Digital. INX also offers the NW210 UV inkjet narrow web press, which delivers what INX says is best-in-class image quality performance with UV LED advanced curing technology. It delivers single pass output on any labelstock at speeds up to 80 fpm, combining printing and converting to produce color printed labels at a maximum print width of 8". 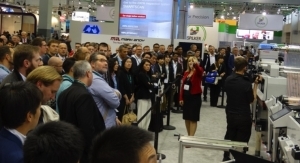 The press also incorporates a Spartanics laser diecutting station and Xaar patented technology with multiple drop sizes and color ink channels. The NW210 uses Xaar technology including 15 1002 8-level gray scale printheads capable of printing an apparent resolution of greater than 1000 dpi. Additionally, the press features a double-screen workstation, allowing press operators to check and manage every part of the process, from file upload to final adjustments. 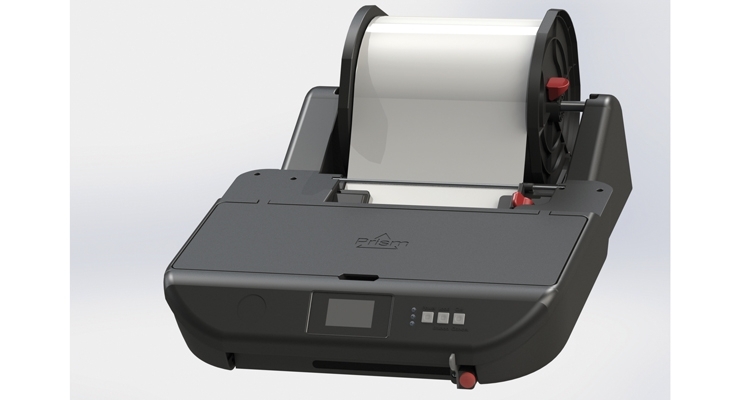 iSys Label recently introduced a desktop inkjet printer solution to its lineup of label printers, The Prism. This lightweight desktop solution is easy to load, prints on-demand, includes a touchscreen, fully automatic cutter with stop-and-cut function for individual labels, and a roll-to-roll option. There is also a variable data option available with the addition of Bartender. The printer allows users the ability to bring beverage label printing in-house and accommodates a variety of labeling solutions. Labels can be printed and applied within minutes, making the need for outsourcing a thing of the past, the company says. iSys Label also offers its flagship products, the Apex 1290 and Edge 850, digital label printers for short- to mid-run production. With media print widths ranging from 3" to 12.9" wide, these printers allow users to eliminate the need for ordering pre-printed labels, reduce inventory and wait times, and allows users to customize each label with variable information in full color. Konica Minolta has unveiled its AccurioLabel 190 full-digital toner press for Europe, which has been developed and manufactured in cooperation with Danish company Grafisk Maskinfabrik (GM). 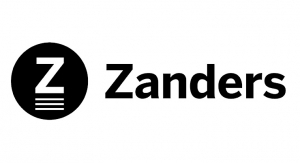 The company says that not even a week after the press’ launch at Labelexpo, the production of GM winders is approaching its capacity. Thus, Konica Minolta is actively looking into scaling up. Konica Minolta’s AccurioLabel 190 replaces the bizhub PRESS C71cf, a system that has been sold already to over 100 companies across the globe since being launched two years ago. 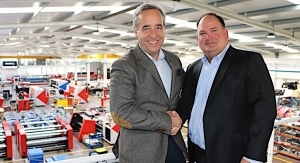 Building on this success, GM is supplying its DC330 mini converting unit for the AccurioLabel 190 press, which can work in-line with the machine or as a standalone unit. 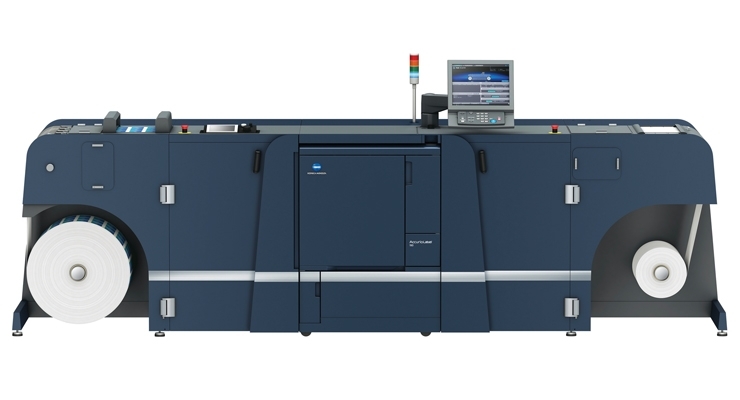 The Konica Minolta AccurioLabel 190 system benefits from stable color consistency and 1200x1200 dpi offset-like quality. No pre-coating is required. Available in Europe and coming soon to North America, the new machine comes with a web guiding system as standard. Converters benefit from its ease of operation, production flexibility, fast turnaround and variable data printing capabilities, as well as world-class support and service from Konica Minolta. With a focus on hybrid printing, Mark Andy offers both the Digital One and the Digital Series. September 2017 was an important milestone for Mark Andy, marking one year since the Digital One was released into the market. 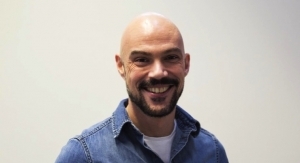 Digital One was born after the Mark Andy development team sat down and interviewed 147 customers and asked them what it would take to create a practical digital label press for the everyday converter. The result was the The Digital One, an entry-level digital label press ideal for digitally printing and converting short run prime labels in-line, at a low investment level. Digital One offers 4-color CMYK dry-toner printing at 1200 dpi resolution and print speeds up 62 fpm, though speeds vary based on substrate and application It has a single multi-purpose flexo station for advanced decoration, and in-line or offline finishing compatibility. The hybrid press is a simple, compact solution to support cost cutting demands, shorter delivery times and reduced run lengths, freeing up valuable press time on high output flexo machines. Since launching in Fall 2016, over 60 all-inclusive printing and converting units have been sold. The Mark Andy Digital Series hybrid press platform, with print speeds up to 240 fpm is a unified platform which integrates flexographic printing and web transport with UV inkjet printing, in-line with product decoration and converting. 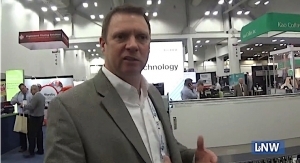 The solution is targeted to label printers looking for increased productivity, flexibility and capability not achievable from existing standalone flexo and/or digital assets. The Digital Series platform is customizable and configurable, with each configuration specific to converter requirements. 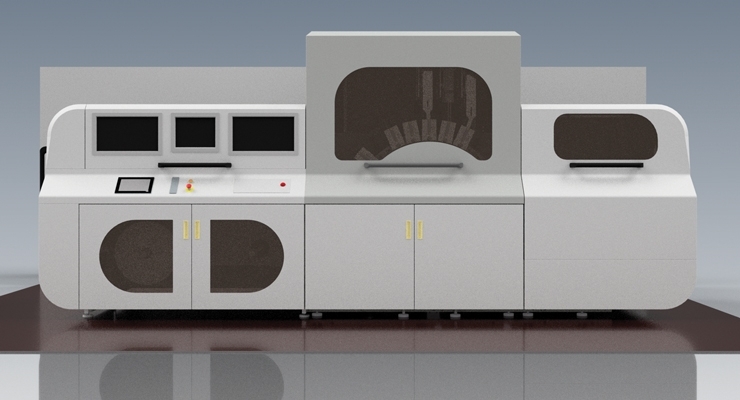 In addition, the platform is modular, allowing in-line flexo modules (foil, lamination, die cutting, spot color printing, etc) to be added as needs change. This modularity also accommodates simple upgrades, allowing the technology to be updated as flexo and digital technologies evolve. This eliminates obsolescence of the technology each time a new advancement is made. The modularity of the Digital Series solution provides that flexibility to upgrade the platform as needs change. 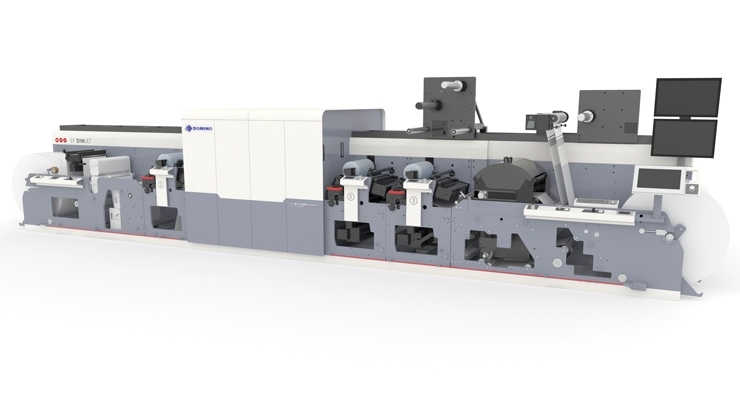 The EF SYMJET press from MPS is a symbiotic combination of a flexo press with the fully automated MPS EF platform and an integrated Domino N610i digital UV inkjet label press. The EF SYMJET press is a hybrid flexo inkjet solution that gives converters a range of new print potential. It is built with the standard MPS EF platform and an integrated Domino digital N610i inkjet printer. Combining flexo with innovative digital technologies provides label printers the ability to choose how to run their jobs. 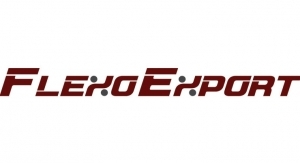 For example, they can run all flexo (with the Domino serving as a pass-through), all digital (with the MPS EF serving as the material handling & finishing) or a combination of the two working together in hybrid mode. In hybrid mode, this press provides the ability of flexo to add primers, spot colors, UV flexo white, metallics, cold foils, over-varnish, in-line finishing and more; coupled with the efficiency benefits of digital such as the ability to run multiple SKUs, versions, and colors while making changes on the fly, all in a single pass. The EF SYMJET also adds a wide range of inline converting solutions, from automatic quick change diecutting and embossing solutions, to flexible positioning rail unit solutions for lamination, cold foil, hot foil, de-lam/re-lam, and more. NeuraLabel debuted its newNeuraLabel 600e LED Label Printer at LabelExpo Europe 2017. The 600e is designed to offer the results of a commercial label printer in the size of a desktop printer for short-run label production. Printing diecut, kiss-cut or rolled media up to 30 feet per minute, the label press is easy to operate. A patented continuous-feed attachment allows for straight-through passage and minimizes waste. The NeuraLabel 300x is a high-speed, high-resolution printer for on-demand GHS-compliant, color label printing. Built on advanced HP PageWide technology, the NeuraLabel 300x is capable of print speeds up to 20" per second. With print resolution up to 2400 x 1200 dpi, colors pop and graphics look sharp on finished labels, the company says. The NeuraLabel 300x prints labels from 1.5" to 8.5" in width, on sheeted, fan-folded and rolled label media. The NeuraLabel 300x prints full-color GHS-compliant labels on blank labelstock, eliminating the need for preprinted labels. Water-resistant pigment inks ensure that labels will be durable and resist damage due to abrasion, saltwater immersion and UV exposure. Nilpeter says that its Panorama line of UV inkjet hybrid presses is the most versatile and all encompassing digital package available. The stand alone DP3 System offers the highest quality 600 x 600 resolution and finest 3 pt. text at speeds of 160 fpm with CMYK and 100 fpm when white (W+CMYK) is added. 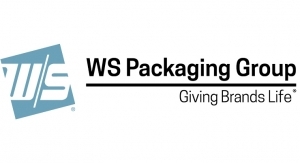 Able to run most label and packaging substrates at widths that range from 4" up to 13" allows printers to maximize substrate usage while minimizing waste. Panorama adopters can realize up time higher than 90% with the Equios workflow and a simplified operator interface. 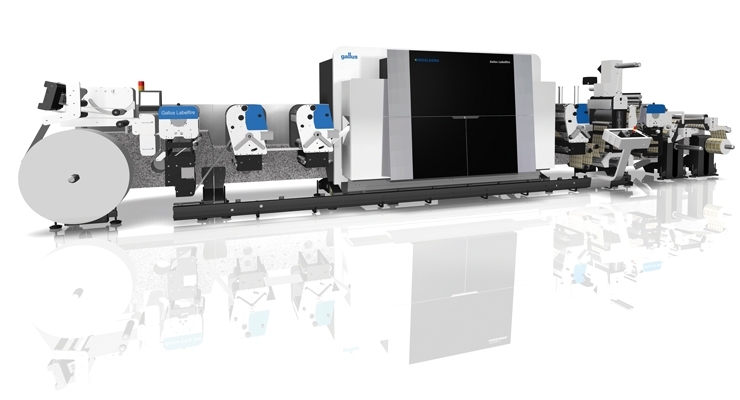 From the standalone DP3 roll-to-roll system to the in-line finishing & converting or their full hybrid solution, the Panorama digital line offers an entry level option while satisfying the highest quality requirements, according to Nilpeter. 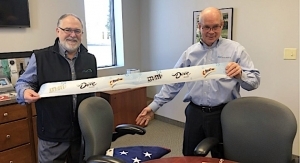 Omet’s XFlex X6 JetPlus digital inkjet label and packaging press is the result of a cooperation with Domino, the provider of the inkjet module, and the work of Omet’s R&D team that is responsible for its integration into the presses. With JetPlus, on the same press line it is possible to add flexo and offset units, for the printing of Pantone and solids, digital for CMYK or Pantone printing, cold and hot foil, screen printing for special effects, UV lamination when needed, diecutting and embossing. All processes are performed in-line with no need for extra converting work offline. 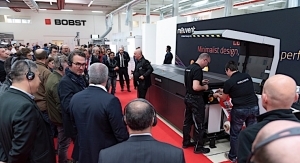 JetPlus allows printing and diecutting at an average speed of 60 m/min (197.8 fpm) thanks to the presence of Monotwin Cut, the diecutting system patented by Omet. According to the company, in the case of variations of the diecutting shape, the change is carried out rapidly with no need to replace the magnetic cylinder or adjust the diecutting unit, as pre-register settings are automatic with respect to digital or flexo. 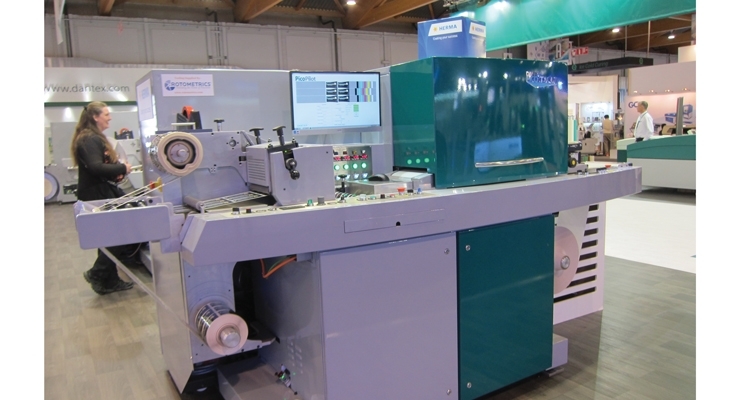 Omet recently announced upgrades to its XFlex X6.0, iFlex and the XFlex X6 Offset, according to Industry 4.0 drivers at the recent Labelexpo Europe. The X6.0, built on a multi-process concept, is an inline integration of every printing process – digital inkjet, offset by sleeve, flexo (UV and UV LED), rotogravure, rotary screen and flexo (water-based and solvent). Early in 2017, Primera announced its new LX1000 Color Label Printer, which replaces Primera’s popular LX900 Color Label Printer. The printers are virtually identical in price, performance and functionality, the company says, however, LX1000 offers a number of additional features, including an all-new pigment ink delivers dye-based ink print quality but with the added durability of pigments included in the ink formulation. In particular, UV-resistance and water-resistance is enhanced without sacrificing the bright, attention-getting properties of dye-based inks. The LX1000 offers larger, separate CMYK ink tanks that deliver a cost per label that is up to 30% lower than on LX900. 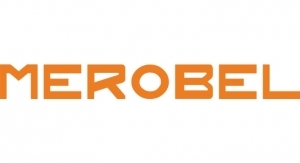 Primera says that while many desktop label printers boast of fast print speeds, most of those quoted print speeds are unusable for producing quality labels. 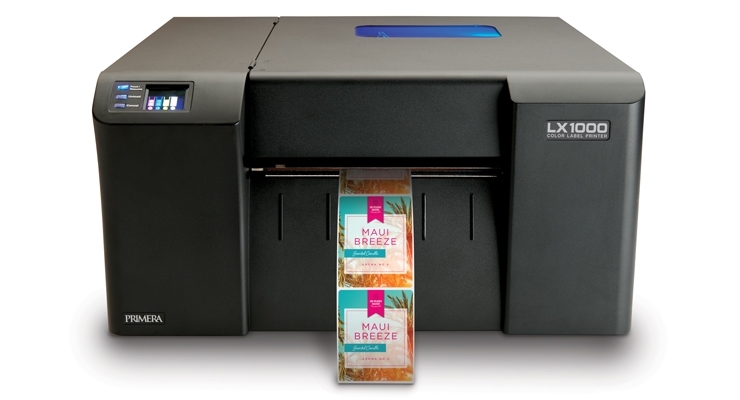 LX1000’s print speed of up to 4" per second produces professional-looking labels without sacrificing print quality. Typical applications include product labels for coffee, wine, bakery, confectionery, meat, cheese and hundreds of other specialty and gourmet foods. Industrial applications include full-color box-end labels, safety and warning labels, WIP, Kanban and inventory labels and tags and much more. LX1000 can also be used for private labeling, test marketing, prepress proofing and retail shelf labeling. Printer drivers are included for Windows 7/8/10, along with Bartender Ultralite Software (for Windows) to format label designs, add bar codes, QR codes, etc. 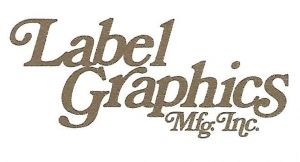 Most other popular graphic design programs for Windows can be used to design and print labels. Qualified substrates include many different inkjet label materials, including Primera’s exclusive TuffCoat Extreme white and clear polyester and white BOPP. Paper labels are also available in high-gloss and matte finishes. Screen recently announced the commercial release of the Truepress Jet L350UV+ and the food packaging-friendly Truepress Jet L350UV+LM. The new Screen Truepress Jet L350UV+LM brings what the company says is “unrivaled” levels of functionality to food packaging label production. 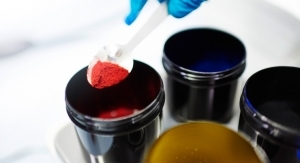 As well as using newly developed low migration (low permeability) inks that offer enhanced safety, the press includes a nitrogen purge mechanism for accelerating the curing of UV inks, further preventing ink migration and UV odor. 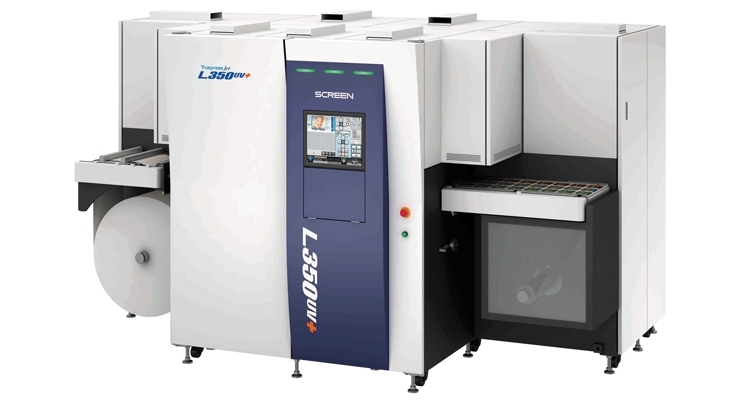 The new Screen Truepress L350UV+LM shares a host of features with the L350UV+ press, which was developed by Screen for high-end, high-speed label production. The L350UV+ system offers superior productivity, substrate compatibility, color reproduction, operability and other advanced features that provide a significant edge over conventional technologies in a wide range of fields. Both new Screen presses deliver reliable print speeds of up to 60 meters per minute and enable the reproduction of a wider color gamut by adding support for a special orange ink to conventional CMYK and white inks. Each system’s transfer section can also be equipped with an optional chill roller for cooling thin substrates that are particularly susceptible to the heat generated by the UV lamp. Labels such as those required for the wrappers used on PET bottles can now be printed with ease on the Truepress Jet L350UV+LM press. These functions provide print companies with the ability to produce an expanded range of new and profit generating applications with greater quality and productivity than ever before. The continuing diversification of consumer preferences has led to sustained growth in small- to medium-run work in a wide array of the food label printing market. 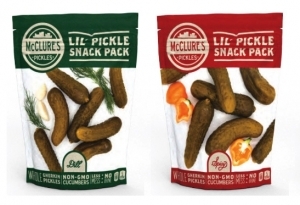 Brand owners have also sought to create label designs on a greater variety of substrates to differentiate their products from the competition. In response, printers have increasingly been calling for digital label presses that can accommodate a wider range of substrates while maintaining the high safety levels required for food products. Screen meets this rising demand with the introduction of these new products. Valloy newest product, the TOPAZET UV 13R, was born from an ambitious project aided by the Korean government. The printer, which runs from 3 - 6 m/m, is a compact style UV inkjet narrow web roll-to-roll printer, positioned in the middle of the economic low-end, small UV LED label printers. TOPAZET UV 13R is equipped with new thin film piezo heads, and it is the first trial of using the head for this narrow web application. The printer supports white and varnish inks for special effects. 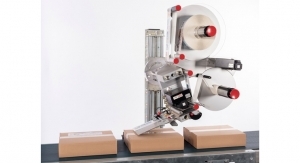 It is not only for label printing, but also for flexible package printing. With the help of the first economic printheads on an industrial level in strategic partnership, this new printer is priced at $59,000. 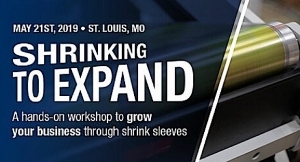 Xeikon recently announced new dry toner digital label presses and also introduced its first UV inkjet press that extends its digital label printing press portfolio, making what it says is the broadest in the industry. One of the new presses is the Xeikon CX500 wide web digital label press, which is in the company’s Cheetah Series and is the first press based on a new generation dry toner platform that is ready for Industry 4.0. For larger sized labels, labels requiring an opaque white or an extended color gamut, the Xeikon notes that the CX500 outperforms all high-quality digital label presses in terms of productivity, thanks to its web width of up to 520mm (20.47"), full rotary printing technology and 98 fpm printing speed. Printing in 1200 dpi resolution, the wide web Xeikon CX500 is part of the Xeikon dry toner Cheetah Series serving the high-end self-adhesive label market, and it complements the narrow web Xeikon CX3, which has been very successfully adopted since its introduction in 2015. Features of the CX500 include intuitive operator interactivity. Its interface signals when operator intervention is required, thus allowing ease of servicing for field engineers, and includes a wiki database with online answers to support questions. It has a “Media Buddy” that guides operators with respect to substrate qualification. Operators can quickly define and implement optimal settings with this innovative Industry 4.0 man/machine interface. Like the Xeikon CX3, the Xeikon CX500 runs on Cheetah toner, which is based on Xeikon’s award-winning ICE technology and is designed specifically to cope with the higher speed. 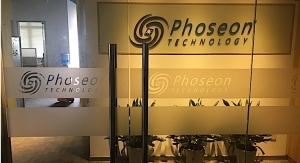 It ensures a reliable and proven printing process operating at 1200 dpi, that meets FDA regulations for food contact and allows printing on standard label materials without the need pre-treatment, including direct thermal papers, BOPP, PE and co-extruded films. As with all Xeikon presses, the Xeikon CX500 is driven by the Xeikon X-800 digital front-end, enabling consistent print quality in combination with industry-leading productivity for label production. Xeikon’s new inkjet offering from its Panther Series of UV inkjet digital label presses is the Xeikon PX3000 and the newly announced entry-level Xeikon PX2000, both available on a 4-color and a 5-color configuration. The PX3000 has a 13" web width and a maximum speed of 164 fpm. Color configuration is CMYK plus white, with a print quality of 600 x 600 dpi. Substrates can range from self-adhesive media with facestocks including paper, PVC, PP, PET and PE. 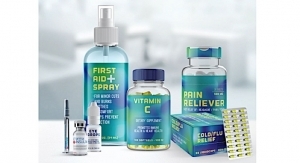 The drop-on-demand mercury-cured PantherCure inkjet technology features the Kyocera 600 dpi printheads, 4 grey levels with automated head cleaning and maintenance and dedicated UV inks will not require any intermediate pinning. In addition, a major announcement has been made: Xeikon will now service, support and supply the worldwide EFI Jetrion customer base, and continue the direct sales of Jetrion digital label presses as part of the Xeikon portfolio of digital dry toner and UV inkjet presses for the self-adhesive label market.